As a girl, I love accessorizing. Whether it be a statement necklace, an oversized purse, or even a new pair of sunnies I love dressing up every outfit for every occasion. You all know what else I also love: Disney! Combining the two sometimes is tricky seeing as it’s labeled as something for kids- but that doesn’t mean there aren’t things out there made especially for adults and young adults such as myself. 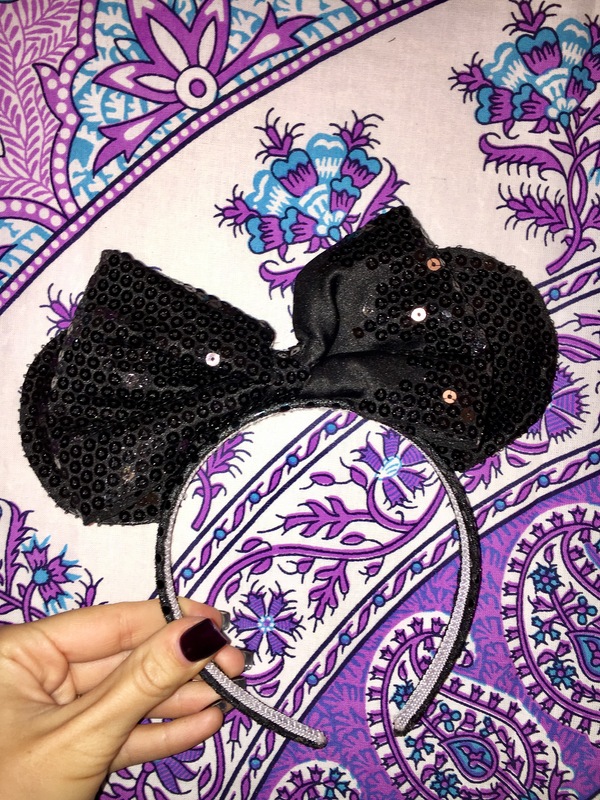 My FAVORITE thing to do is find simple Disney accessories that you can incorporate into your everyday style! 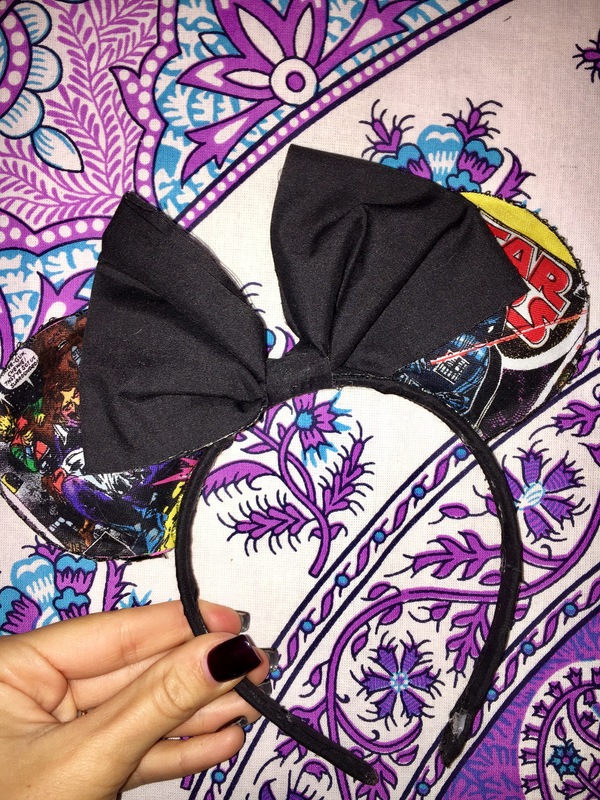 Here are some things I have gathered in my personal Disney accessory collection to share with you guys. 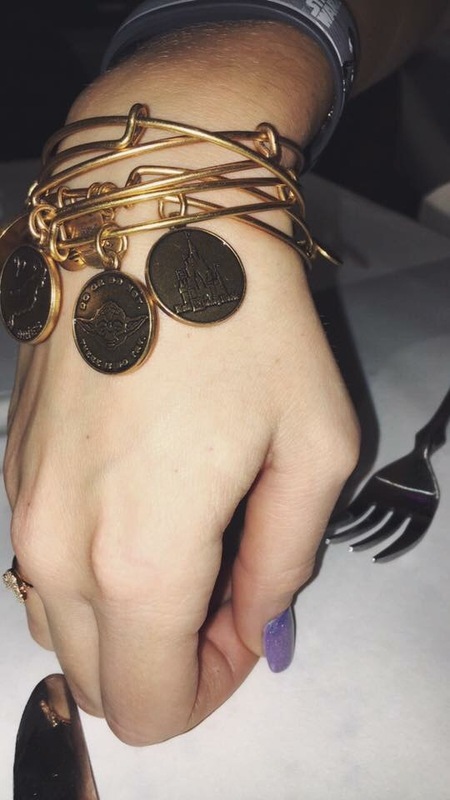 If you’re a Disney Parks enthusiast like me, you all know about their famous exclusive Alex and Ani bracelets. They are perfect for parks style and also for layering with other bracelets and bangles. Here are two of my favorite from the Disney parks! 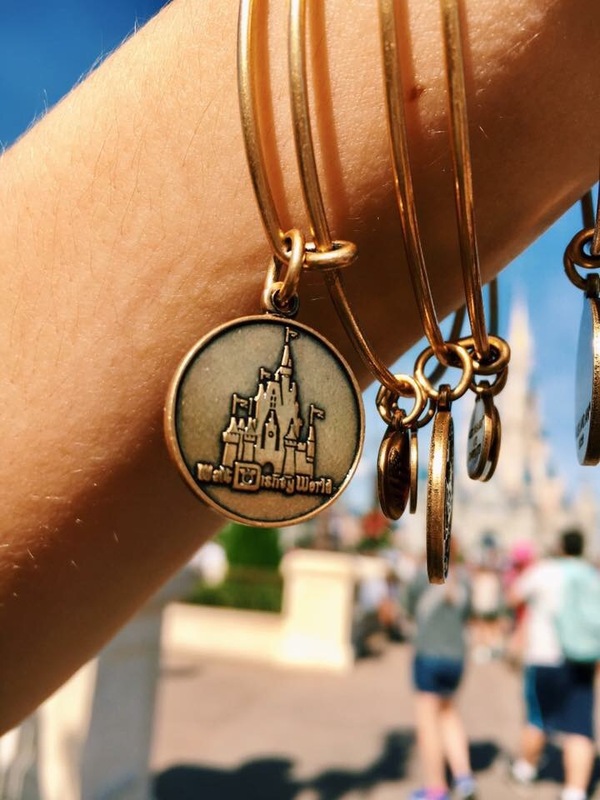 On the left pictured is the Walt Disney World traditional bracelet featuring Cinderella’s castle. Although newly retired, you can still find this bracelet at Word of Disney in Disney Springs as well online or on the Disney Parks App. 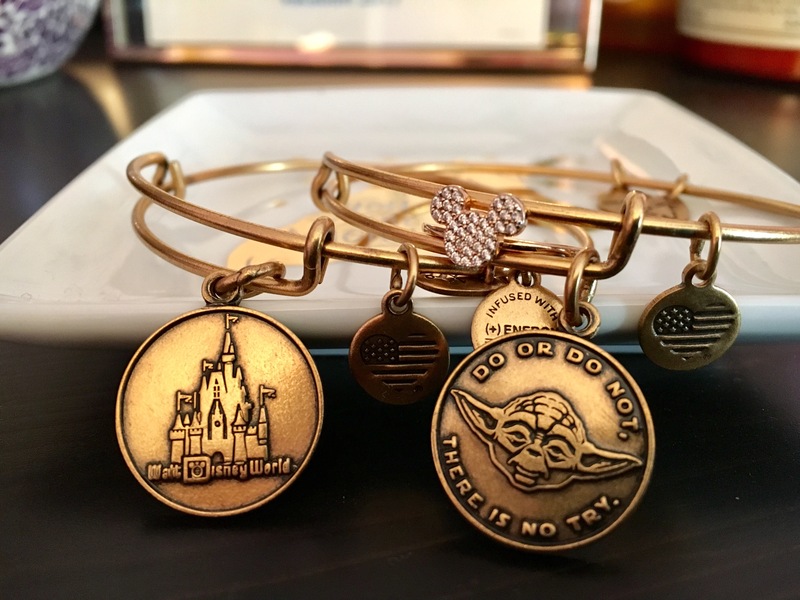 On the right, (being a Star Wars fan that I am) is the Yoda bangle with a cute little quote. This, I believe, is also newly retired but you can also find this in the same place as the other one. 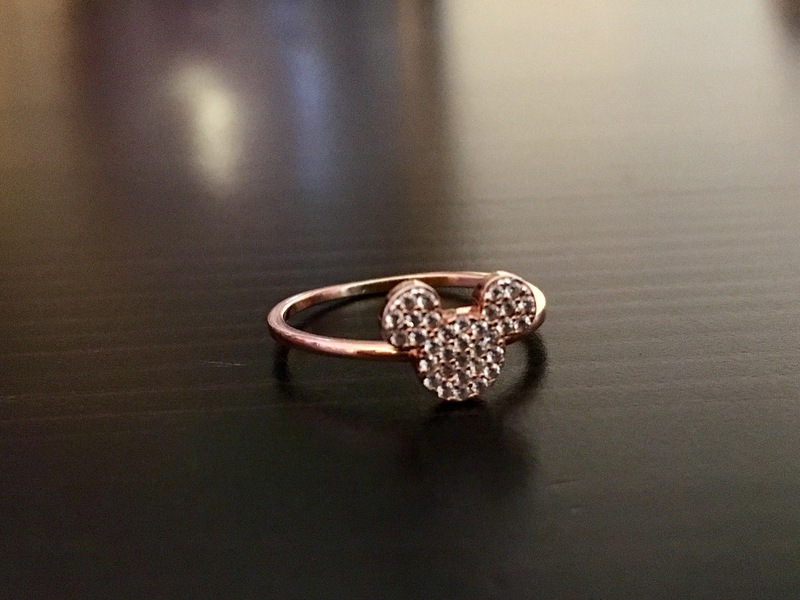 The ring in the middle of the two bangles is one of my favorites: it’s a Mickey Mouse CZ ring in rose gold! You can find this nearly anywhere in the parks from the resorts to the gift shops. It’s from the brand CRISLU and it’s a bit price at $75, (but totally worth it if you ask me). Next, we have my favorite Disney accessory! This perfect little necklace in the shape of Cinderella’s castle. I think I wear this everyday- even if I’m not spending time in the parks. 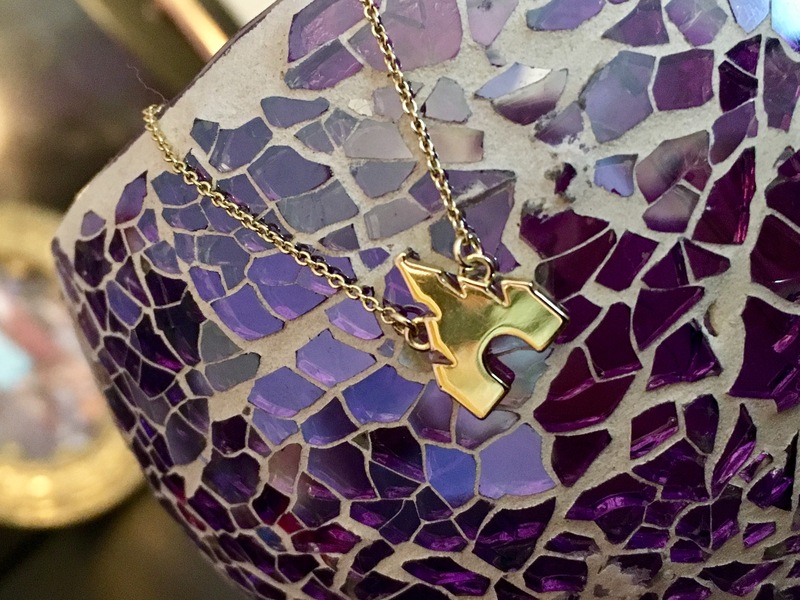 It’s a perfect everyday piece and it’s one of the cheaper accessories. Pair it with a v-neck to show it off or add a choker for layering. 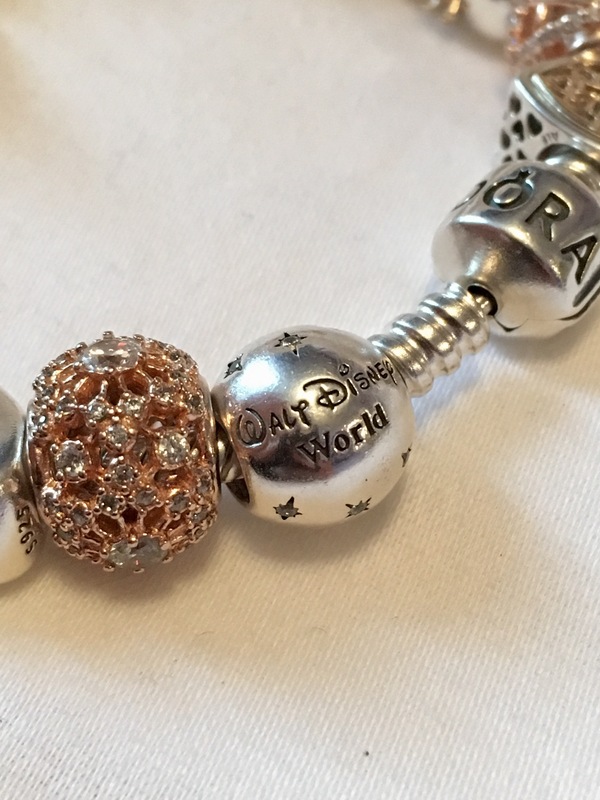 Some of the greatest collectors items of all time in the Disney parks include Pandora charms! I, being a fanatic of pandora, LOVE getting the parks exclusive charms. 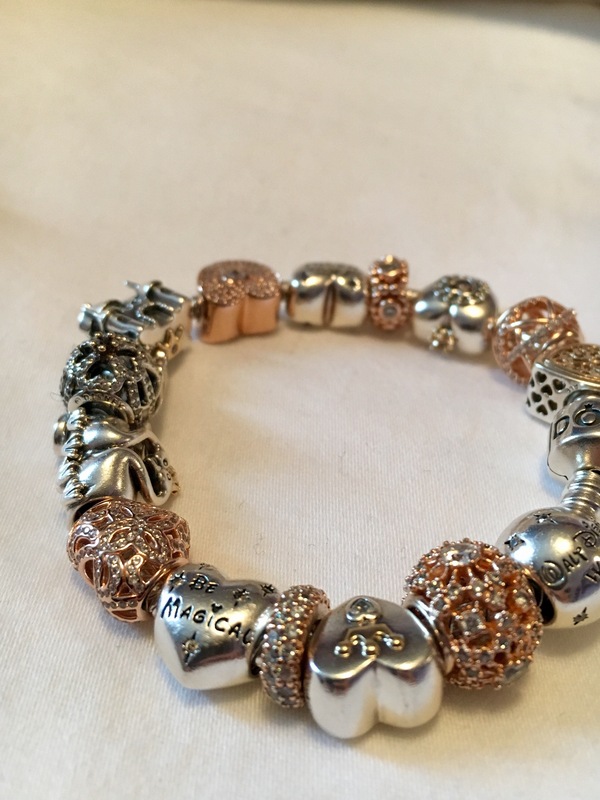 Since working with pandora at my job, I have found a new love for exclusive charms that you cannot get anywhere else. The two here that you can only get at the parks are the Mickey Mouse head clip, and the Walt Disney Word silver ball charm. 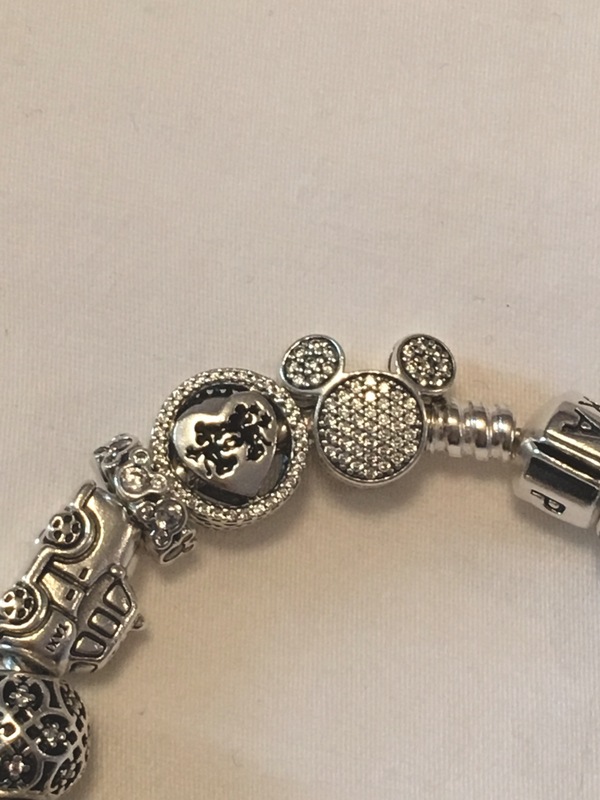 The rest of the Disney charms you can get at any Pandora location or anywhere that sell Pandora! Moving on from jewelry, my ultimate carrying bag when going to the parks is a backpack- it’s convenient enough to carry all the things you need while spending a long day at the parks and it’s free from your hands and arms, making it easier to hop on and off of rides! 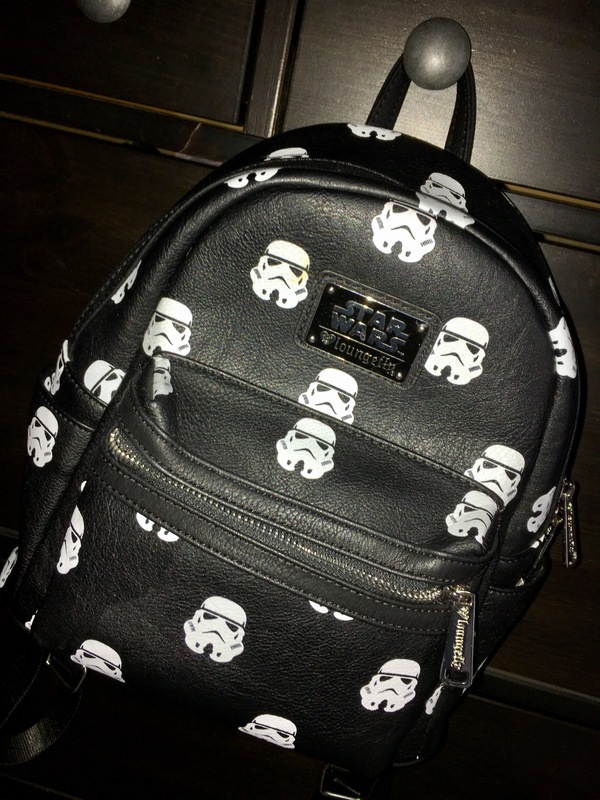 Loungefly makes backpacking fun and trendy while having Star Wars and Disney collections. Except from backpacks, Loungefly also make purses and wallets featuring all of your favorite movies and characters! You can get loungefly products on the Shop Disney App, BoxLunch, and Hot topic, (I got mine on Amazon). 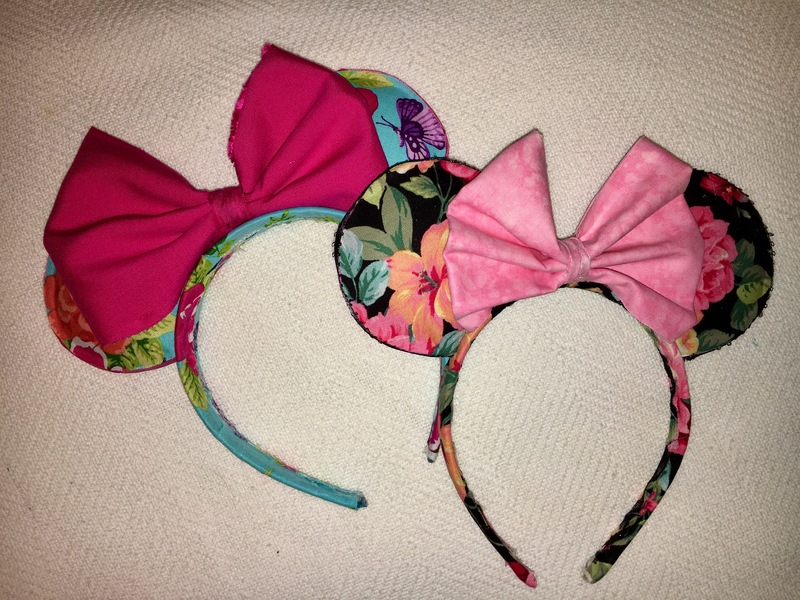 Last, but very not least, Minnie ears! 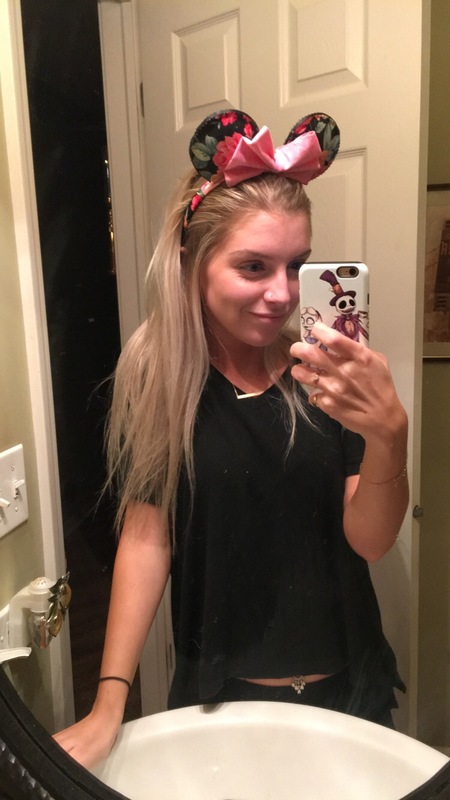 I know I can never go into a park without having a pair of ears that fit my personality and style. You can match your outfit perfectly with these or wear them as a statement piece and wear an outfit on the more neutral side! 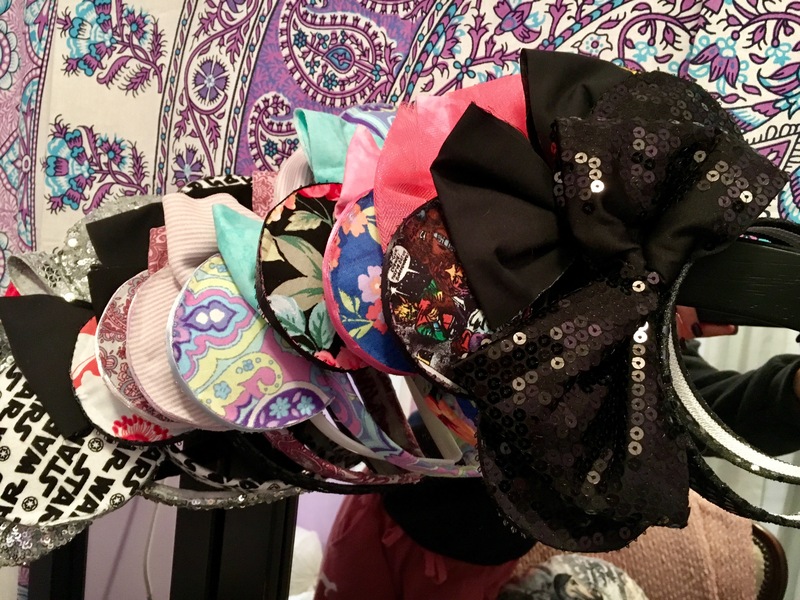 I have a few pairs of ears that I have bought on previous trips to Disney, and I also make my own, (Etsy shop pending thanks to Amanda😉). Here are some of the ears that I have made in the past!